Are you a music educator that already knows the incredible value offered by the instruments of Gatchell Innovations? If so, click here to be taken to an application to enroll into our unique School Assistance Program which will entitled your school or music program for a discount of up to 50% off! If you are not familiar with these instruments, and would like to know more, please read the summary below. We believe you will find it interesting and worth your time. Violins, violas, cellos and basses are indeed all wonderful to play, but require a significant commitment from students if they are to be played well and enjoyed. Students working hard, but unable to sense improvement, can easily become frustrated and question the effort needed. This is unfortunate, but also avoidable. The challenge – Wouldn’t it be great if every student had the opportunity to play an instrument that would help them achieve their goal to become an accomplished player? A big problem hampering that is the attention needed to the average school instrument with changing environment conditions. Wouldn’t it be incredible to design and make the next generation of instruments from advanced acoustic materials that are impervious to changes in environmental conditions and that will exhibit superior characteristics in playability surpassed only by wonderful: timbre, balance, and projection? We believe that would have a very positive impact on the experiences of students and would inspire them. We also believe light weight and well balanced instruments enable players to feel the music as they are playing. All of these things make practice more enjoyable and rewarding. 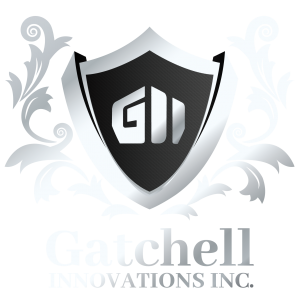 Happily Gatchell Innovations, Inc. has a passion for these instruments and, more importantly, their players. Ten years go it become apparent it was time to open a project to achieve a very worthy goal – the creation of extraordinarily playable instruments that will replace wooden cellos and violins in a school environment and eliminate problems inherent in traditional instruments because they are made of wood. At the year’s National ASTA convention, Three Palms Strings and Atlantic Strings announced the availability of two new instruments made by Gatchell Innovations, Inc. from materials that are acoustically and structurally superior to wood. They are the Endeavor violin and the Endeavor cello. Each fully addresses all problems associated with the wooden cellos and violins that are typically found in schools, with an emphasis on a very positive playing experience for the student. The quest to create these instruments began many ten years ago. There were a few set-backs along the way, but each one of them helped to better understand these materials and how they needed to be crafted to enhance: power, playability, timbre, balance, and projection while addressing environmental and cost considerations. Speaking of cost – In recognition and support of school music programs everywhere, and with the enthusiastic assistance of the Gatchell Innovations, Inc. Three Palms Strings has created a Special School Assistance Program (SSAP). Its purpose is to make these truly incredible instruments affordable to every school system in the country. To qualify your school, or music education program for this assistance, please click here to complete our single page SSAP application. After submission, we will contact you to directly to setup your school or music program into our SSAP system. If you join before September 2017, a discount of up to 50% can be realized. The program is expected to expire in December 2017, at which time no new members will be enrolled. With up to 50% discounts, assisting schools to meet the challenges of providing top quality instruments to students in their music programs is a priority. Other issues overcome by the Endeavor Cello and Violin – We have all seen and experienced the ongoing financial pressure on school music programs. If they have not been eliminated due to budget cuts, they are surely challenged to do more with less. The first reaction is usually to cut the cost of instruments. In conflict with that is the fact that good quality and well-aged tone wood (and ebony) is becoming very hard to find, and its cost is going up. Frequently this puts the better quality instruments out of the hands of students that have the potential to begin a life long love of playing music. It is becoming harder and harder for schools to provide instruments that exhibit good: playability, sound, responsiveness, and the ability to inspire. Not only are school music programs under great financial pressure, but it is common that other cost saving measures require the shutting down of heat and air-conditioning in these facilities at night and during breaks in the year, causing instruments to need frequent tuning and lots of attention to their pegs, strings, and bridges. This takes away valuable learning time while each instrument is being adjusted. In more severe cases, it is common for instruments to develop cracks in the top and bottom plates and/or open seems along the ribs. There is also the all too common problem of fingerboards losing their shape resulting in strings that buzz or lay flat on the fingerboard. This makes instruments unplayable until they can be taken to a repair shop. Instruments needing repair are time consuming and the cost of the repairs only adds to the issue of the budget problems. 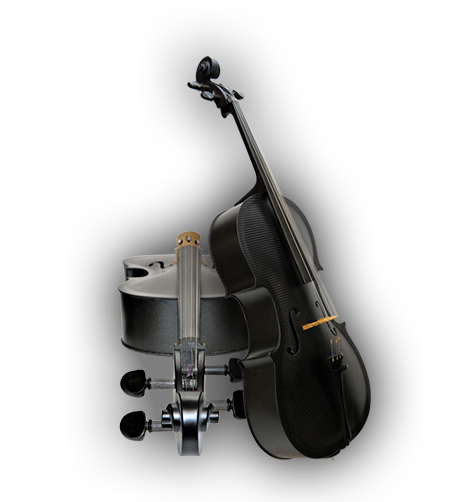 The Endeavor cello and violin from Gatchell Innovations overcomes all of these problems while providing an instrument to the student that is inspiring because it: sounds great, is very responsive, has outstanding power, and is easy to play. So send in your application today to receive up to 50% for all instruments ordered for your school or music program – SSAP application.